Cone extruder is the new extrusion range that builds on the proven Umang technology and its benefits. 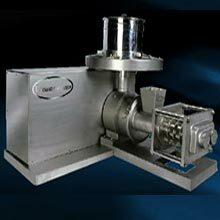 Radial extruder is used for the conversion of dough material and wetted powders in uniform size granules by adding binders. 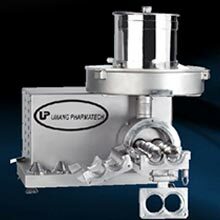 Spheronizers is the new pelletization range that builds on the proven Umang technology and its benefits. 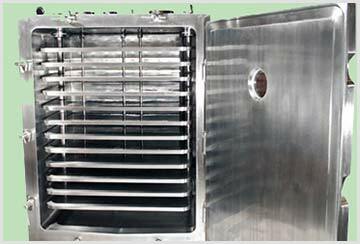 Vacuum Tray dryer is the most commonly used batch dryer. They are box-shaped and loaded and unloaded via a door. 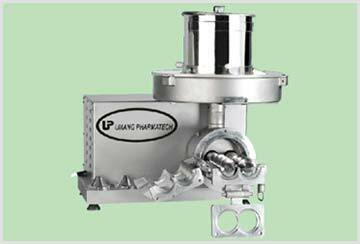 Die roller extruder is the oldest extruder range that builds on the proven Umang technology and its benefits. We have a die roller and a pressing roller called as the knurling roller, the variety of designs ensures that process chosen for the product and process suits it application like high pressure extrusion. 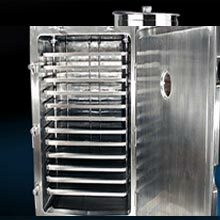 A revolutionary concept in drying of powder, granules, pellets & tablets in a continuous, cost effective, efficient manner with minimum human interference.In a Continuous Tray Dryer material charging is from top and from 01 plate to another plate it keeps on tumbling thereby all the portions of the material is subjected to hot air. Cone extruder is the new extrusion range that builds on the proven Umang technology and its benefits. Similar design of process screws, cams and meshes ensure right size of extrusion from 500 - 1500 microns. 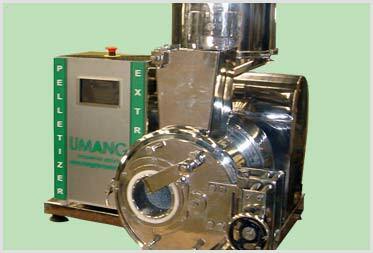 Dome extruder is the screw extruder range that builds on the proven Umang technology of pellet range equipments. 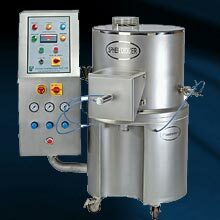 The extruder converts Radial extruderwith radial type of pressing cams with meshes (300 - 1200 micron) particle size. 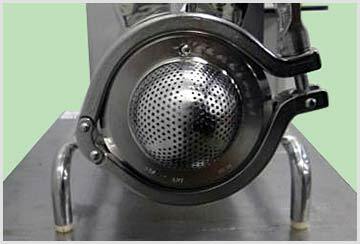 Axial meshes are available with variable thickness for hard and dense extrusions. 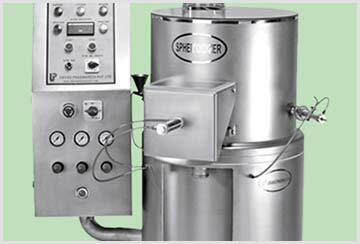 Spheronizer is the new pelletization range that builds on the proven Umang technology and its benefits. The design of the plate and the gap between the bowl and the chequered plate ensures that process and validation wise there is no difference to thepelletization process. Umang was incepted in the year 1982, with an objective to serve the clients with all kinds of equipments and accessories under one roof. Within a very short passage of time, we succeeded to be the most reliable brand name in the market. Our aim is to provide world-class products by continuously improving quality using innovative technology. 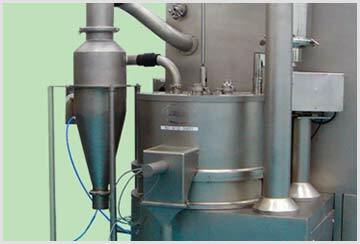 Copyright © 2015 Extruder Spheronizer a division of Umang Pharmatech Pvt. Ltd. All rights reserved.